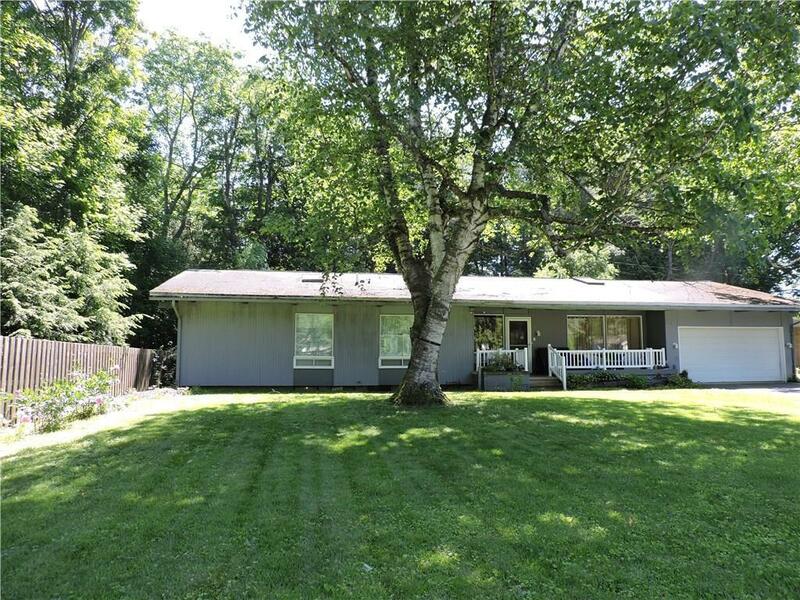 Lakewood mid-century modern 4-bedrm, 2Â½ bath ranch on a village cu-de-sac w/lake access. Architecturally striking w/clean lines, sheets of windows throughout the home, beamed cathedral ceilings, 4 skylights, wall of closets & much more from its era. Main floor includes a 13'x22' living rm, w/floor to ceiling windows that bring the outside in. The custom built kitchen & dining rm combo leads to a sunken den w/walls of built-ins to a 3-season rm. It overlooks a private rear yard. There is a closet-lined long hall to the 3 bedrms, a master bath & a full hall bath which completes the main level. The lower level consists of a 12'x27' rec rm, the 4th bedroom w/ regressed window, a laundry rm & bonus rm. It needs some TLC & updating to restoring it to its original state. Come see this one!